Are religious people less analytical thinkers? A growing body of research suggests that the answer is “yes.” For one thing, religious believers perform more poorly on tests of analytical (“System 2”) intelligence, instead showing a preference for intuitive thinking styles (“System 1”). For another, believers may be more likely to see connections and relationships between things instead of separating them out into distinct units – a preference they share with conservatives, non-Westerners, and inhabitants of farming (as opposed to foraging) cultures. 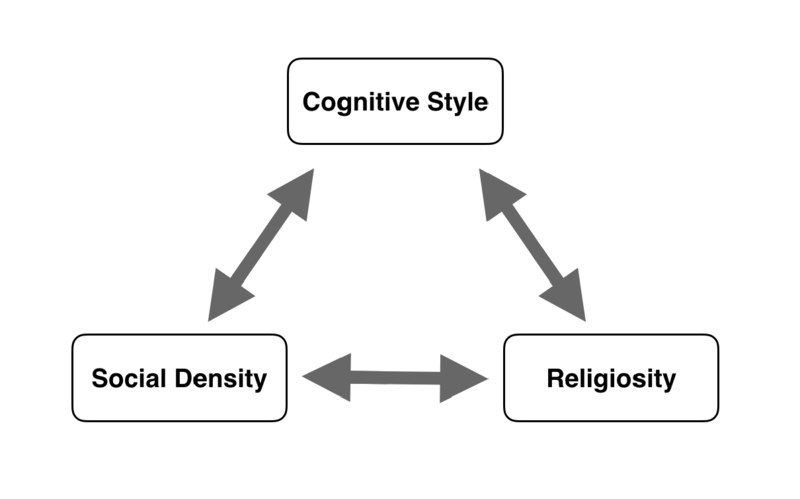 So what’s behind this relationship between religiosity and cognitive style? Many researchers argue that religious beliefs are based in intuitive cognitive defaults that are the product of evolution. In that light, when we use our analytical minds, we suppress those default intuitions and so religiosity declines. However, three researchers at the Center for Mind and Culture – Jonathan Morgan, Connor Wood, and Catherine Caldwell-Harris – recently published a new chapter arguing for an alternative hypothesis: both religiosity and intuitive cognition are deeply entwined with social interdependence. Morgan, Wood, and Caldwell-Harris’s previous work on this topic suggested that, while religious beliefs might be associated with lack of analytical ability, religious practice is instead associated with holistic or heuristic cognitive preferences. And as any good scholar of religion knows, practice is at least as important as – if not more important than – beliefs. Combing through the literature, they found that religiosity might be a special example of a broader trend in cultural psychology: people who need more social interconnection tend to think more holistically. 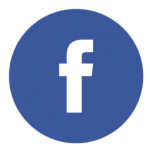 This trend is exemplified in recent research on WEIRD people – that is, residents of societies that are Western, Educated, Industrialized, Rich, and Democratic. 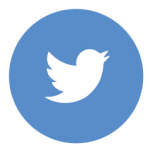 Inhabitants of these countries – particularly the United States, Canada, and portions of Western Europe – tend to be highly individualistic and to think and perceive in analytical ways. By contrast, residents of more collectivistic societies – such as China or the countries of Latin America – tend to think more holistically and intuitively, to be more traditionalistic, and to be more comfortable submitting to authority. In sum, social interdependence and the need for cohesive coordination seem to predict cognitive styles at the group level. That’s interesting for the scientific study of religion, because religious people tend to be more conservative and collectivistic (in the psychological sense, not the economic one) than nonbelievers. Do we have a pattern? Morgan, Wood, and Caldwell-Harris think we do. In their chapter, they conduct an intensive literature review to argue for a “social foundations hypothesis” to explain the association between religion and cognitive style. This hypothesis hinges on the fact that, while analytical, individualistic thought is useful for many things – science, mathematical proofs – it’s not as useful for navigating high-context social environments, where people share similar background assumptions. There, too much analytical thinking might interrupt the flow of interactions. For example, in a rice-farming community, everyone has to work together in an extremely c oordinated way – flooding fields and harvesting at the same time, for example. Too much individualism would make the whole system unworkable. Similarly, in a religious community, people share background assumptions, practices, rituals, habits, and language. There’s usually an expectation of cooperation and costly commitment. 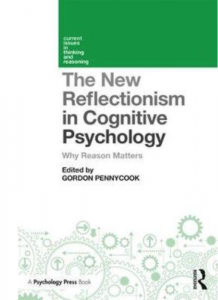 When people bring highly analytical cognitive preferences to such an environment, they might end up questioning the background assumptions, or treating relations transactionally, thus causing the system to break down. Supporting this claim, work by Yale Psychologist David Rand shows that analytical thinking styles are associated with utilitarian attitudes toward social relationships, meaning that analytical thinkers are more likely to cooperate when it benefits them, but to renege on obligations when it’s to their advantage. By contrast, holistically minded people stick with social norms even when it’s against their interests. In a tight, highly interdependent community, more holistically minded people are a better fit. The most important reason why religious people tend to be less analytical than nonbelievers may be simple: they’re less individualistic. 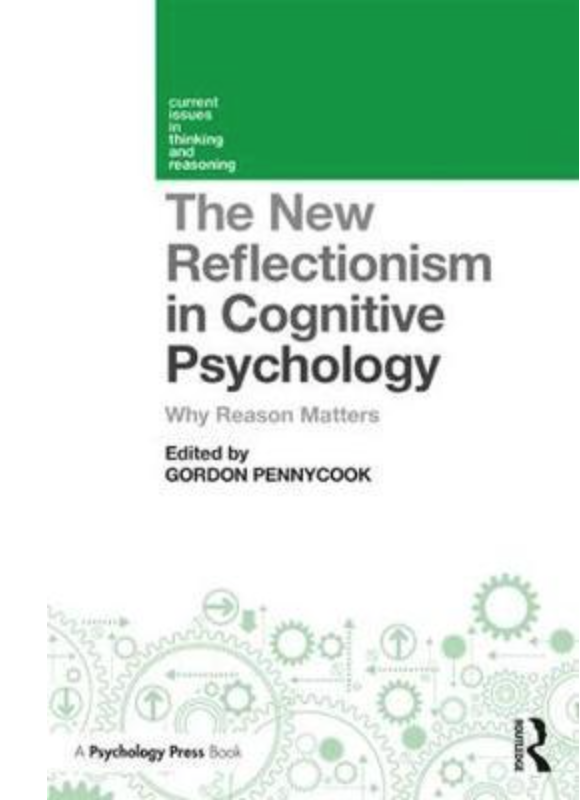 The chapter appears in the book Why Reason Matters: The New Reflectionism in Cognitive Psychology, published just this spring by Routledge Press and edited by Yale postdoctoral fellow Gordon Pennycook (and blurbed by Harvard psychologist Steven Pinker!). You can read more about this chapter and the book at Patheos.com.